Kelley Dingens was born and raised in Chicago, IL but is very happy to now be living in this beautiful state. 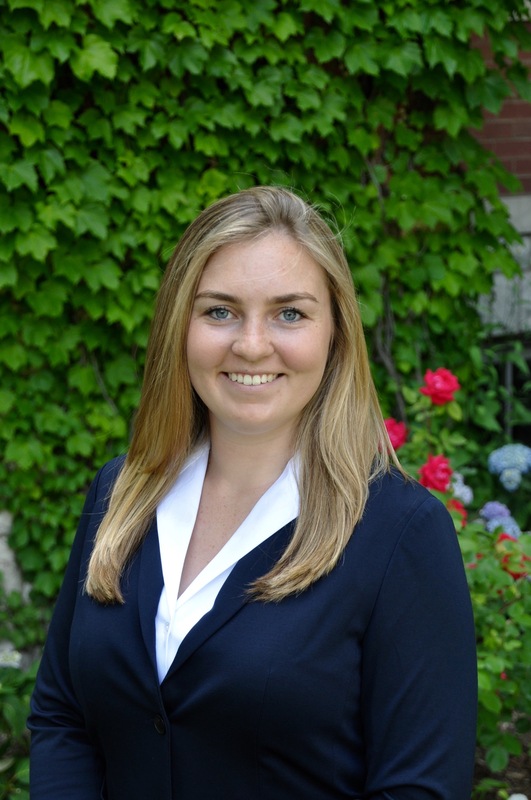 She graduated from the University of Denver in 2017 with her BSBA in Marketing and a minor in Psychology. As the new Marketing Director for CORE, Kelley is excited to learn more about the mortgage business and help the CORE team stay connected with their expanding business! Kelley spent her first few college summers working for Shoreline Sightseeing, a boat tour company in Chicago. She was a sales/customer service representative. She learned the value of face-to-face marketing and clear communication while promoting Shoreline over other tour companies in Chicago. Her last two summers at Shoreline, she was promoted to “Anchor,” a mentor position to help lead and train other representatives. As a marketing intern for the Athletics Department at the University of Denver, Kelley created different marketing pieces, such as brochures, flyers, infographics, and game day graphics, and ran their social media. She also spent a summer in New York City as an analyst for Mizuho Securities. Within her rotation, she spent a few weeks with the Corporate Development team where she managed client events, created different client marketing pieces, and conducted internal research. ​During her senior year, Kelley worked as a Business Development intern for Elevated Third, a local website agency, where she created and executed different sales email campaigns to generate quality leads. Along with her different internships, Kelley spent her 3 years as a teacher’s assistant for the Gateway to Business program at Daniels College of Business, where she assisted students with the design and programming of app prototypes and websites. Throughout her time at DU, Kelley played lacrosse for 4 years on the Women’s Club Lacrosse team where her team won back to back WCLA DII National Championships in 2016 and 2017. She also found her passion for philanthropy in college and helped raise over $15,000 for the Starkey Hearing Foundation. Kelley is an avid skier and loves to ski Snowmass or Breckenridge. She is a big Chicago sports fan, cheering on the Cubs and Blackhawks, but has converted to a Broncos fan since college, and of course is a proud Denver Pioneer!